Files must be uploaded in a .CSV format. All columns and all rows - every piece of data - must be formatted as "Text" instead of as numbers. Phone numbers must all be in Column A; entries in all other columns are considered tags and if they are phone numbers they will not be opted in to receive messages. Punctuation is allowed in phone numbers (e.g., "888-555-1212" or "(888)555.1212", etc.). Punctuation is generally allowed in tags but cannot contains forward slashes ("/") or commas. Tags may contains letters or numbers or a mix of both and may include symbols or other characters but no leading spaces are allowed. Individual tags may be up to 75 characters each. All tags associated with one phone number may contain up to 2500 total characters cumulatively can now be of unlimited cumulative length! Those are the essentials. We STRONGLY recommend that you read the detail of this FAQ below at least one time. It will prevent errors, avoid frustration and, in the long run, save you time. 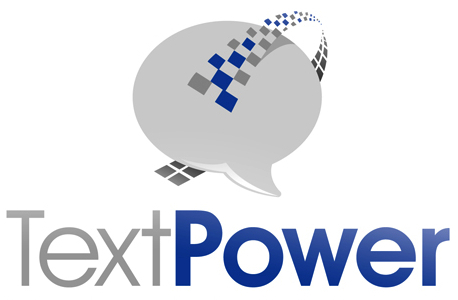 TextPower provides a way for you to manage the phone numbers of mobile devices subscribed ("opted in") to keywords established on your account using a simple spreadsheet in .CSV format. Keywords can be added to your account as needed by sending a request to Support@TextPower.com. You can upload a list of numbers to your TextPower account so that you can send messages to that list or subsets of that list, called "groups." Once you have uploaded these numbers they will be "opted in" and will remain in that state until either the mobile user or you take action on a number. The FCC has clarified that utilities in particular, as well as other groups, have the right to send text messages of an informational or emergency nature to numbers that have been provided to you in the normal course of business. You can learn more about that by reading Big Win For Utilities: The TCPA Laws Clarified and learn how TextPower works to keep you in compliance with the TCPA regulations by reading Unique Service Helps Utilities With TCPA Compliance. In addition to being able to send messages to numbers on an opt-in list, being on the opt-in list allows those numbers to send messages to you (such as an outage message for a utility or a request for a delayed appearance for a court). These messages are known as "mobile-originated" messages or "MOs". The phone numbers on an opt-in list can have "tags" (such as a location ID) assigned to them and they can be part of a group (by substation, meter type, executive committee, etc.). More information about both of these functions can be found further into this FAQ. Note that terms tag, send tag, group and group name are all used interchangeably and refer to the same thing: a label that is applied to a mobile number that puts multiple numbers into a single "bucket" so that you can easily send to a subset of an entire list or for an account or an individual location ID that is used by an outage management system to determine which location an outage is being reported on. Numbers do not have to be assigned to any group or can be assigned to one or multiple groups. Uploading these lists is simple. Follow the structure described in this article and your file will be uploaded successfully, quickly and reliably. Once you create this file for uploading you will be able to maintain your own list of numbers and keep them synced with the numbers on the TextPower system, making a simple .CSV file the only thing you will need to manage the entire process. The first thing that happens when you upload a list is that each number will be checked to see which are mobile numbers and which are landlines. The mobile numbers will be added to whichever one of your keywords that you specify when sending us the file to upload. If you have not uploaded a file before you must use our "Communications Assurance Plan (CAP) file upload form" to send us files so that they are processed properly and promptly. Files sent using regular email will not be processed; you will receive a response to your email directing you to use the form. You may upload a file of up to 10MB. We provide a template for you to use and strongly recommend that you use it. If you choose not to use our template (found HERE) we cannot assist you with troubleshooting any difficulties that occur during the file upload/sync process under our standard support. Assistance with troubleshooting files other than those based on our template will incur an hourly fee. The template contains an example phone number - it is used as a placeholder and indication of where the first phone number should be placed. The template contains labels called "Tag1", "Tag2", etc. These are also examples to show where tags (also called "labels" or "groups") should be placed. Change the ones you want to read whatever you prefer within the limits of what is allowed as a tag name (explained below) and delete the others. Use the keyboard command of Control-A (Windows) or Command-A (Macintosh) to select all of the cells in the spreadsheet. Click on the upper-most left corner of the spreadsheet, which will similarly select all of the cells in the spreadsheet. When all cells are selected, if you are using Excel go to the upper-most menu at the very top of your screen (not the menu items associated with that particular spreadsheet) and select Format>Cells…>Number>Category: and choose "Text" from the list shown in the window below the "Category:" label. Click "OK" and that formatting box will close. Spreadsheets must be submitted in a .CSV format. You may use any spreadsheet application to create and maintain the file but you must submit it in .CSV format. Typically (and specifically in Excel) you would select the "Save As…" menu item from the top-most File menu. In the "File Format" drop-down menu at the bottom of the window choose "Comma Separated Values (.csv) and navigate to where you want the file saved. The recommended formatting is to place labels in Row 1 of the file so that you can designate various columns for specific purposes. For example, Row 1, Column A might contain the label "Phone Numbers." Row 1, Column B might contain the label "Location ID" or "Serv Loc" or "Meter Loc." Row 1, Column C might have the label, "Substation number" or some other designator. All columns other than Column A can be designated with whatever labels you prefer. These labels are not stored anywhere on the TextPower system - they are only for your own use. Column A must contain all of the phone numbers. Any phone numbers erroneously placed in Columns B, C, D, etc., will not be entered into the database as phone numbers but rather as "tags" associated with the phone numbers in Column A. Columns other than "A" are reserved for tags so any phone numbers in those columns will not be properly entered! Individual tags can be as long as 75 characters each. All tags associated with one phone number may contain up to 2500 total characters cumulatively can now be of unlimited cumulative length! Row 1 can be used either for labels or for data but not a mixture of both. For example, if you put a phone number in Row 1, Column A and then put labels in Columns B, C, D, etc., those labels will be assigned as tags to that phone number. - use a descriptive term for the entries in this column. It will not be stored anywhere on the TextPower system - this is for your use only. Tags can be unique to an individual number. Many utilities in particular attach either a location ID, an account number or a meter number to a cell phone number. This facilitates the integration of outage reports with an outage management system (OMS) through one of TextPower's partners such as Milsoft, DataVoice, SienaTech or PCS. This way when a customer texts the word "out" into the system not only do we know which utility it is destined for (that's what the keywords are for) but the OMS will know which account/location/meter the outage is being reported on. You may have as many tags as you wish, and assign mobile numbers to one group, multiple groups or no groups at all. You can not use the same tag on more than 10,000 mobile numbers. In other words no group can have more than that many numbers in it. Remember that you can assign any mobile number to one group, multiple groups or no group by uploading a list of the mobile numbers with the groups assigned to them. Group names can be as long as 75 characters but may NOT include commas, forward slashes ("/") or spaces; all other punctuation or special characters are accepted. Where do I go to upload the file? Select the keyword from the dropdown menu to which you want to upload/sync all of the numbers in your file. Click the "Choose File" button and navigate to your properly formatted .CSV file. In Step 2 you can choose to delete the entire list of opted in numbers and upload a "fresh" list. Note that this will completely wipe out all numbers and tags. Be advised, too, that uploading a file with this box checked will cause all numbers in the file to be looked up using the National Cellular Database and a lookup fee per number will be incurred. Enter an email address in the "Send Results to Email(s)" field so that the TextPower system can inform you of the completion of your file's processing. Click the "Begin Bulk Number Upload" and you will see a message stating that your file has been submitted to the queue for uploading. An email will be sent to you confirming that the file has been queued for uploading. Another email will be sent after the file is processed and your database is ready to begin sending and receiving messages. Note that the file will be queued for uploading and will begin processing in the next available slot. This may occur immediately or it may take some time depending on the load of the system. Once the file processing begins the bulk import of the numbers and tags will occur very quickly. The opt-in of the individual numbers will take longer as that is processor-intensive. In essence, you will be able to send bulk messages to any list that contains those numbers right away but sending messages to those individual numbers may take a little longer. The number of lines in the spreadsheet that have a valid looking phone number in them but are not cell numbers. These may be either landline numbers or unassigned numbers. The number of cell numbers found to be already opted in. The number of cell numbers that were newly opted in as a result of this upload. The number of non-cell numbers found to be already opted in. The number of non-cell numbers entered in the non-cell Number cache. This is done solely to avoid further lookup charges on your account. Non-Cell numbers cannot be sent to currently. The number of Email Addresses found to be already opted in. The number of Email Addresses that were newly opted in as a result of this upload. The total number of Send Tags that were contained in this upload. The total number of charged lookups that resulted from data in this upload. Lookups are necessary to find out if the number is a cell number. Number included in this upload that could not be opted in because they had previously been opted in but have since opted out. If a number opts out, it cannot be re-opted in from Bulk Upload. We do provide regular training sessions that all TextPower customers are invited to join; for our schedule email our support team. If you think it would be helpful we can offer personalized training for your company; please contact us to arrange that (note that hourly charges may apply - we will advise you prior to setting up any personalized training). During this training someone on our team will show you exactly how the process works and from that point forward you will be able to manage all of your mobile numbers in one spreadsheet and then upload it whenever you wish to the TextPower system to update your information. Alternatively you can call us at 818.222.8600 x2 (tech support) but for the fastest support response email our support team.